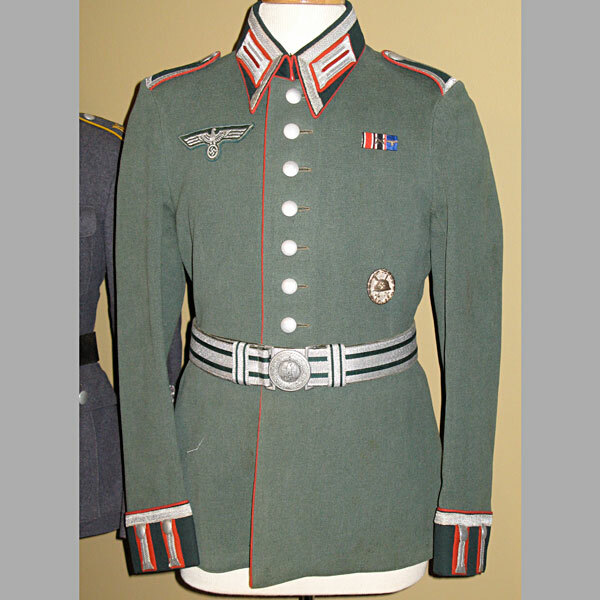 The WW2 German Uniform was perhaps one of the most well made, attractive, yet feared uniform in military history. 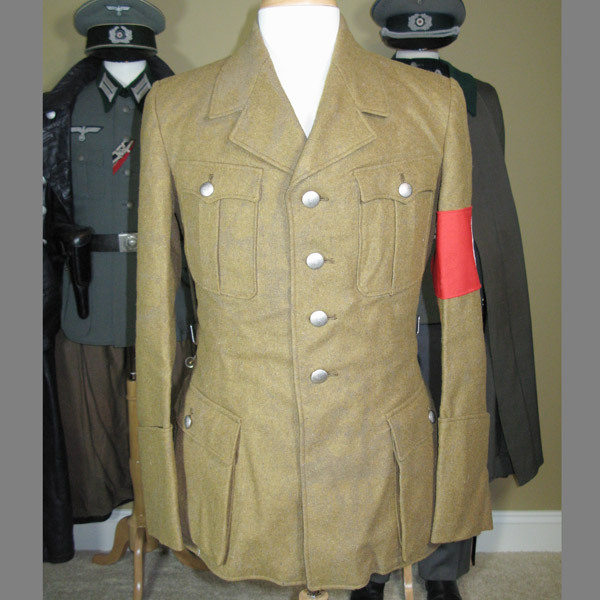 Some have called the designers of German Uniforms from the WW2 era “theatrical geniuses” due to their precision stitching, ornate characteristics, and eye pleasing detail. 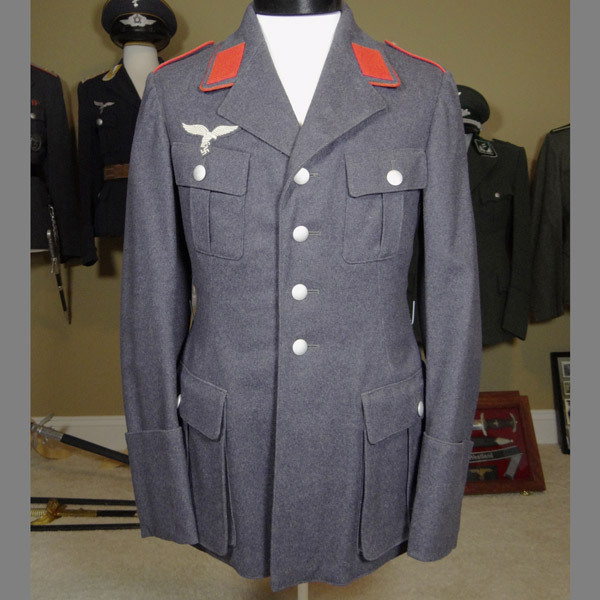 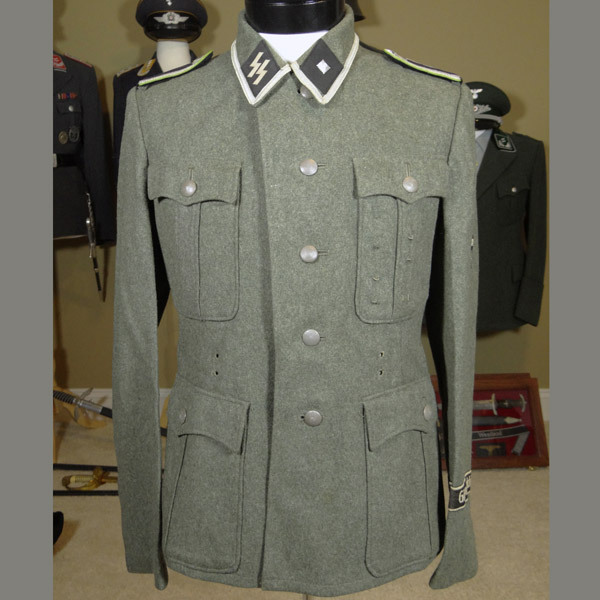 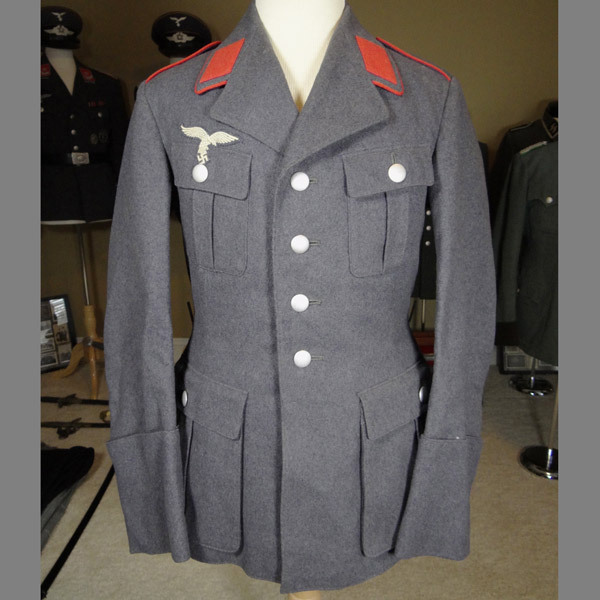 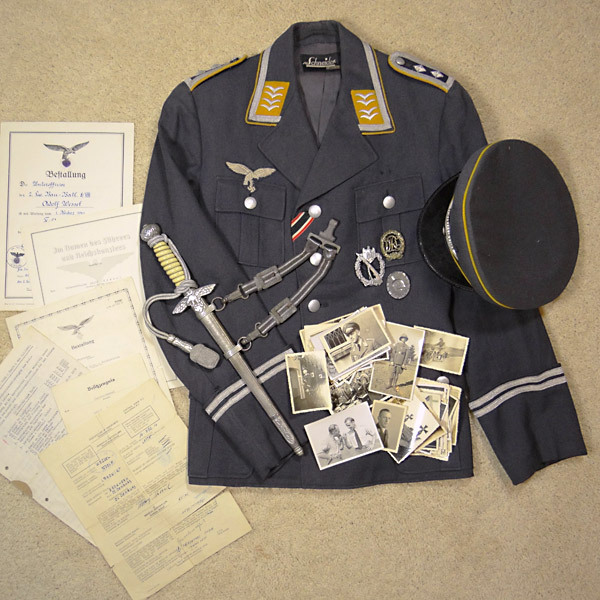 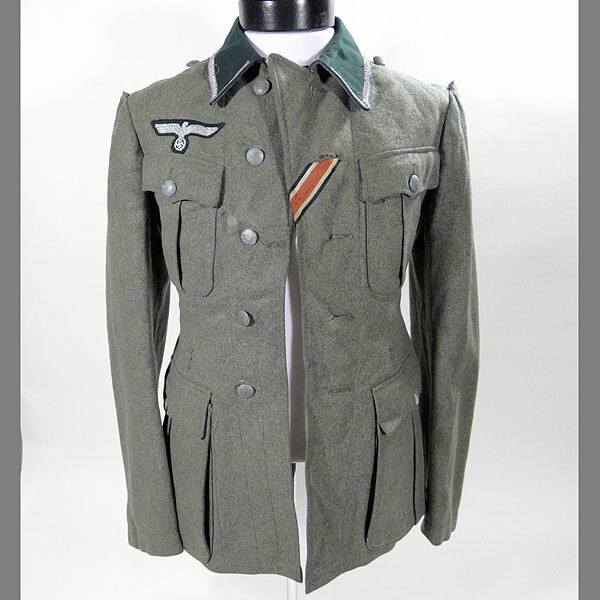 Nazi Uniforms are highly collectible, yet very thoroughly critiqued by the astute collector due to the sheer number of reproductions that have flooded the WW2 collectibles market since just after the war. 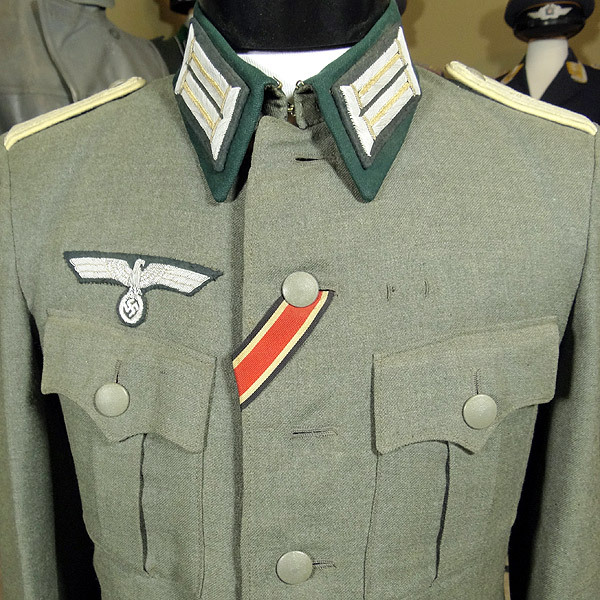 One has to also be conscious of alterations to authentic German uniforms, including replaced patches, insignia, shoulder boards, collar tabs, etc. 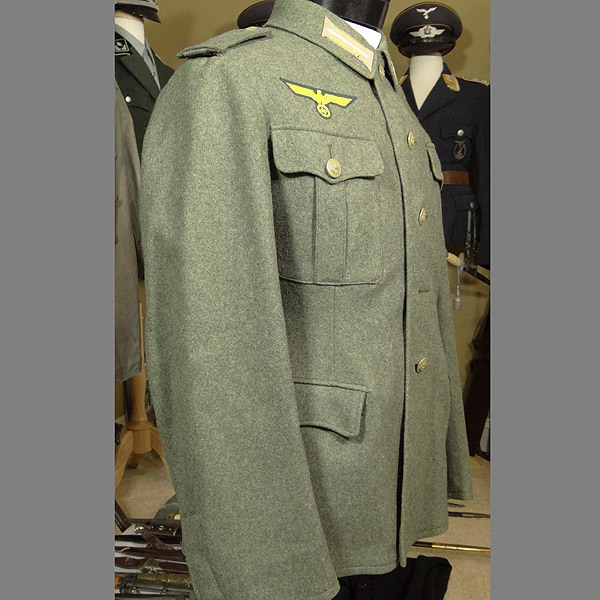 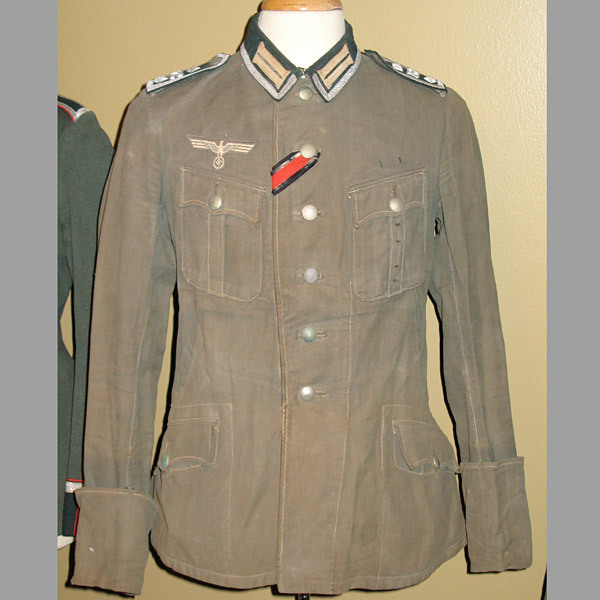 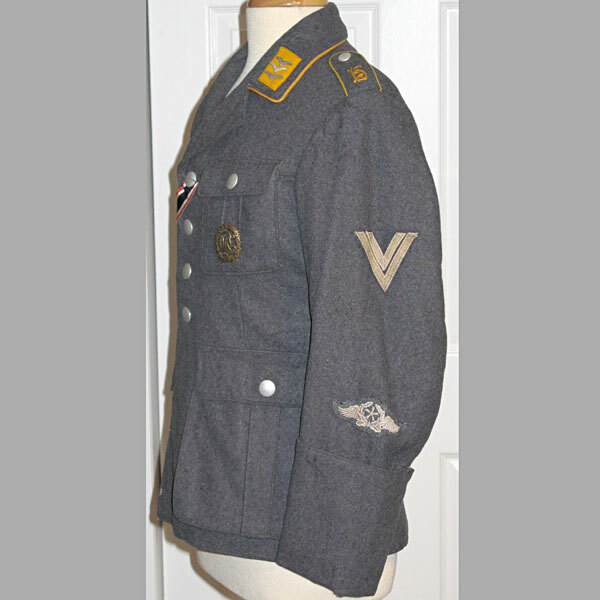 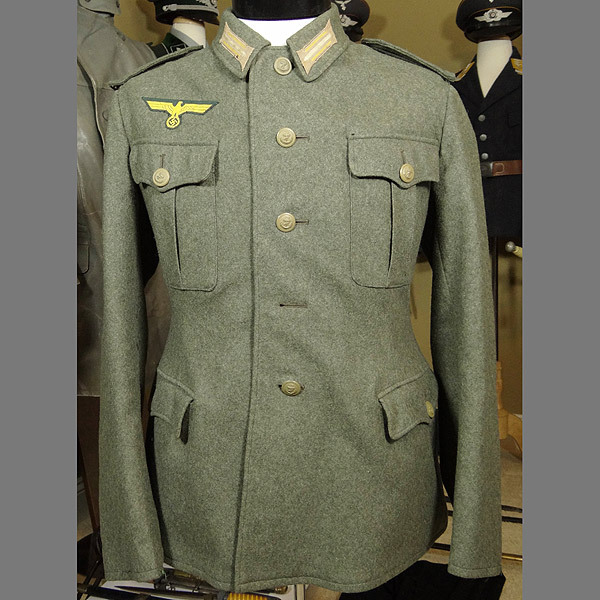 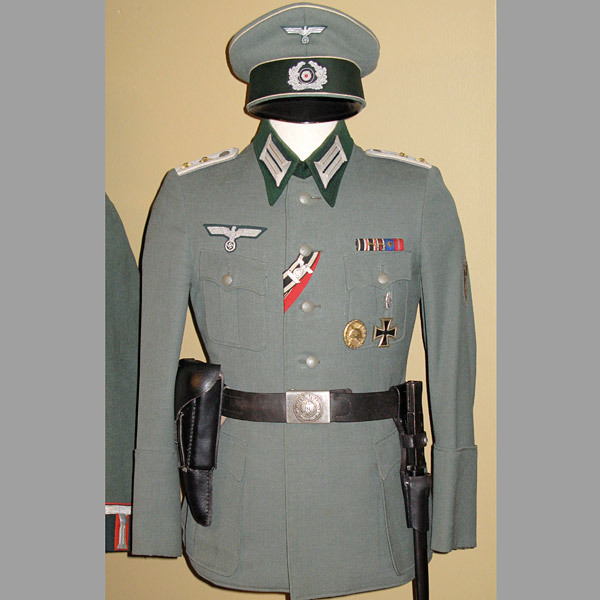 With so many different German tunic styles produced during WW2, including those of the different military branches such as Luftwaffe Uniforms, German Army (Heer) Uniforms, Kriegsmarine (Navy) uniforms, SS uniforms, and many others, becoming familiar enough with all of the variations could take a collector a lifetime. 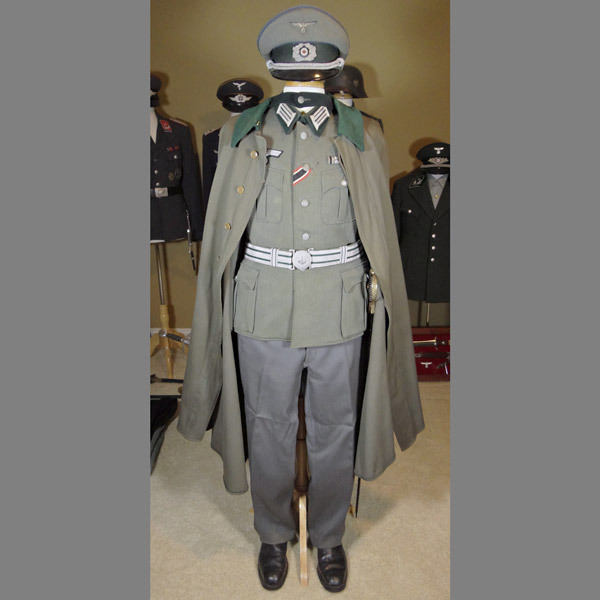 Care and education should be taken when considering the purchase of a Third Reich German Uniform. 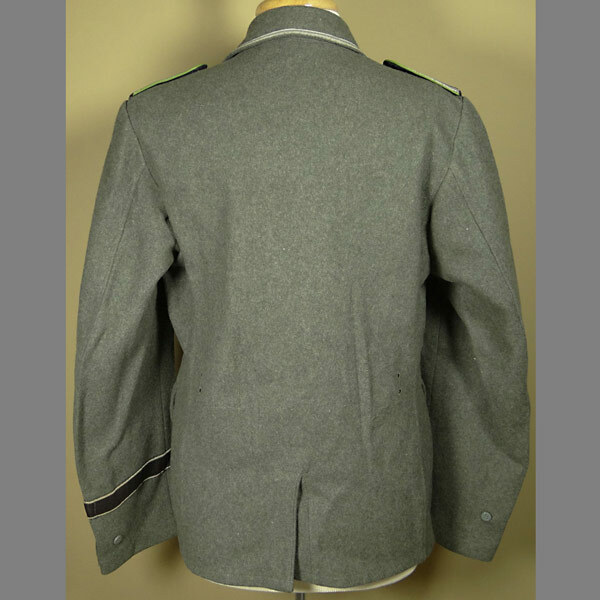 Artillery NCO Waffenrock (Parade Tunic) belonging to an Unterfeldwebel (Staff Sergeant) serving with the 8th (E.) Batterie of Artillerie Regiment 51. 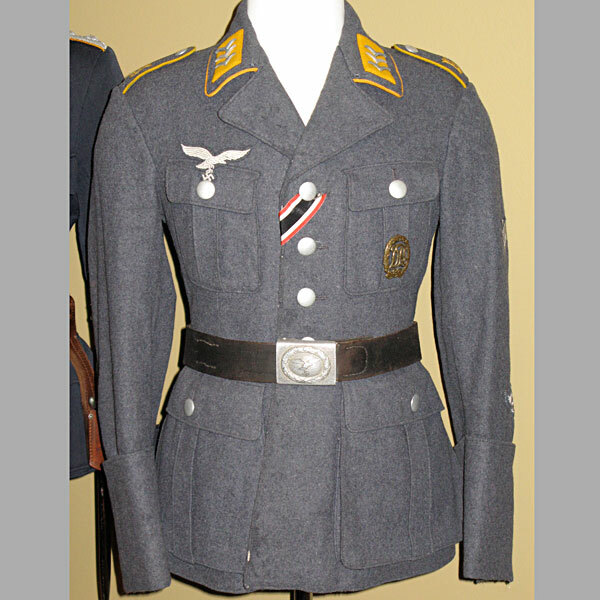 Originally purchased without ribbon bar, wound badge, or brocade belt. 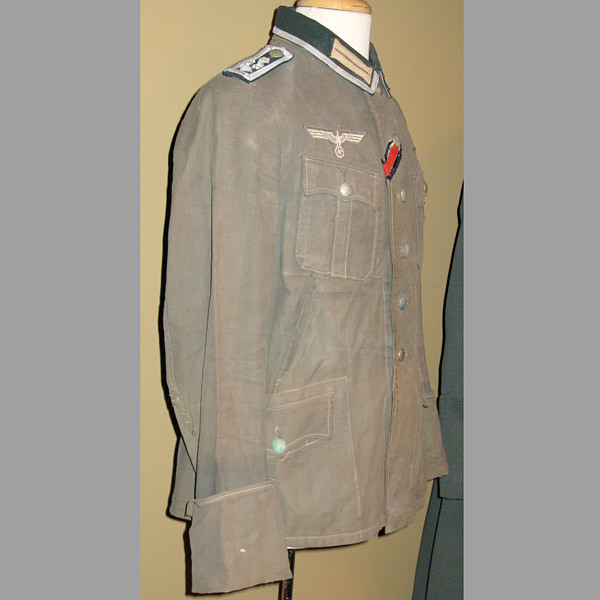 This tunic is in very nice condition, with only very minor age (almost not worth mentioning) and no noteworthy stains or mothing. 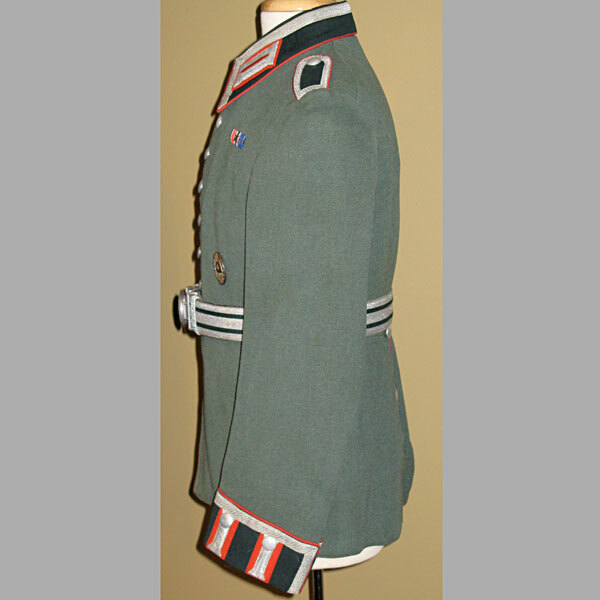 The breast eagle is a very nice variant for parade tunics; the color of the backing is not very often seen. 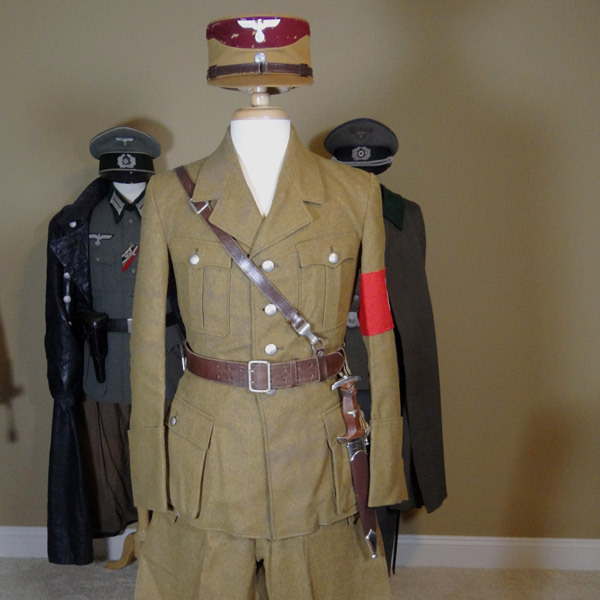 This beautifully preserved German WW2 tunic and visor cap set is from a Heer Infanterie Hauptmann (Captain) of the Reserve. 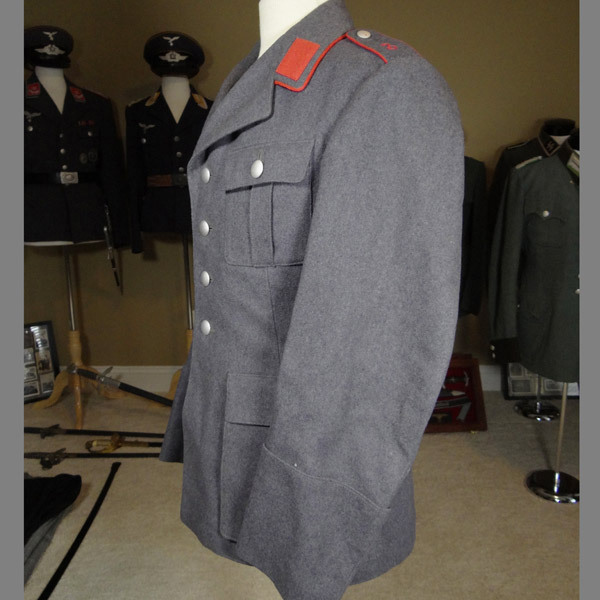 Aside from a few minor moth holes, most notably under the armpits and out of direct sight, this set is immaculate! 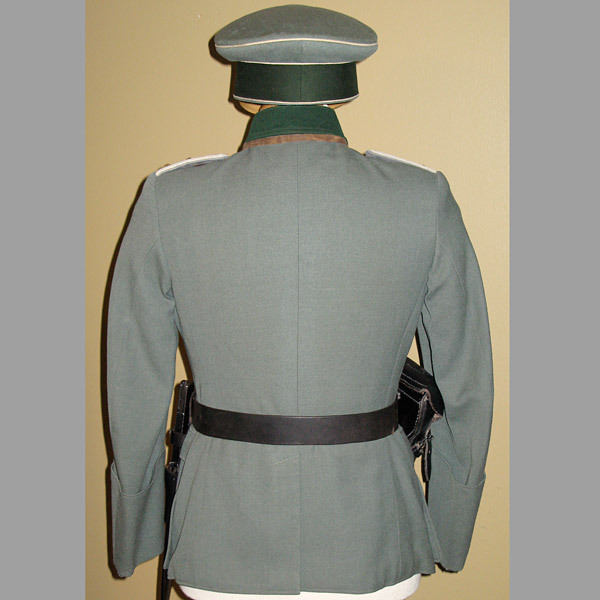 The matching visor cap sports a more rare bullion kokarde and wreath, but was not found with the typical officer chin cord. 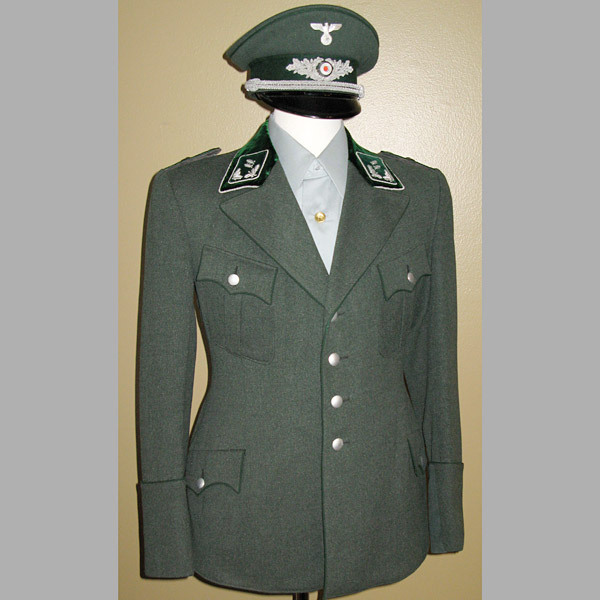 This may very well have been removed by the officer because he preferred the look without it. 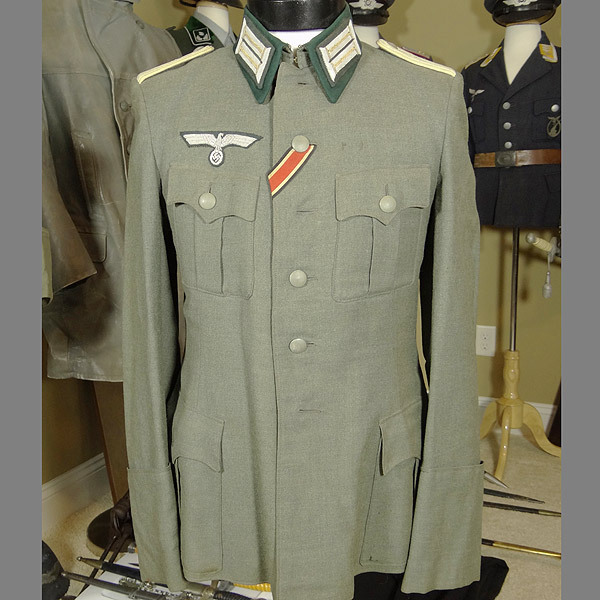 This is one of the finest German tunics we’ve ever come across! 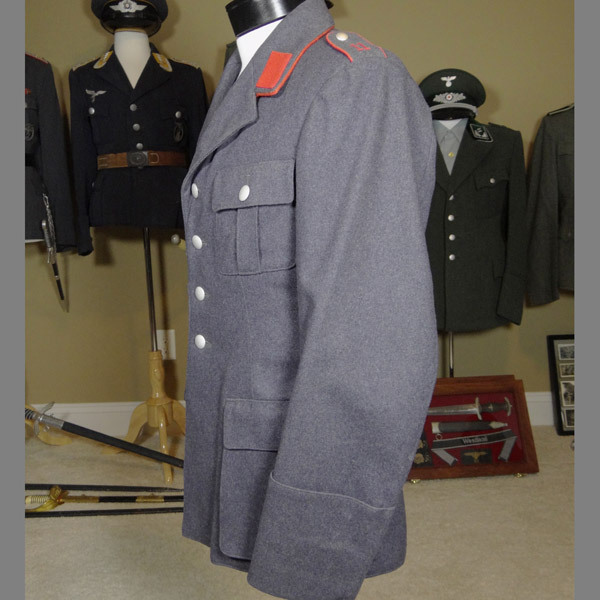 In unissued condition, this matching Coastal Artillery tunic (also referred to as a KA tuinc) and pants set came directly from a vet collection. 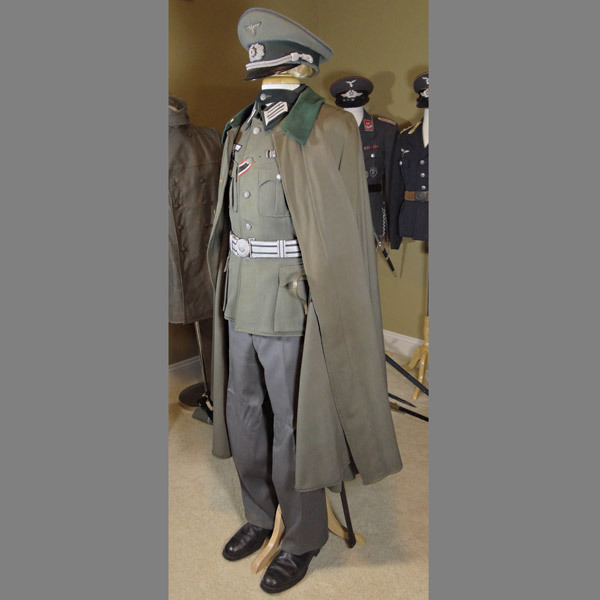 The tunic is manufactured by A. Wolter & Sohne, a well-known manufacturer of uniforms, but a rare manufacturer of Kriegsmarine pieces. 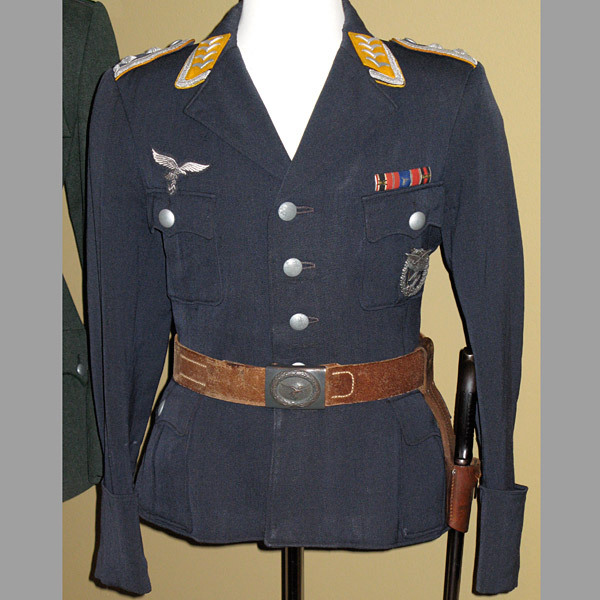 They’re more well known for RAD and Heer uniforms. 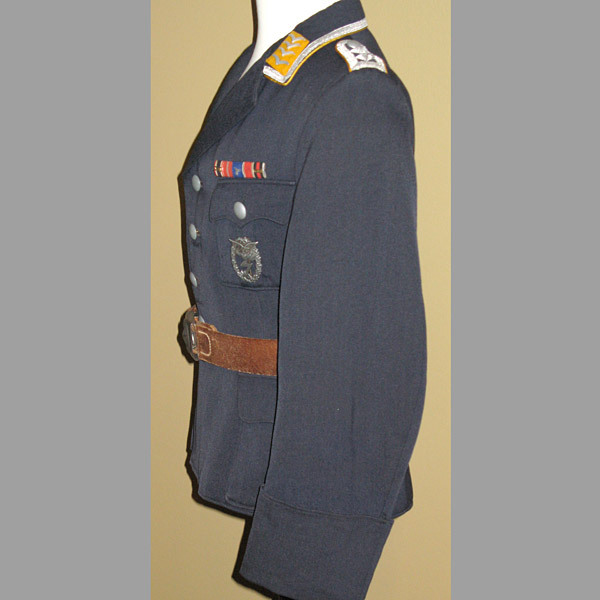 As you can clearly see in the photos, this Coastal Artillery set shows very few signs of use (considered unissued condition) and the only notable flaw is a missing button on the front of the tunic. 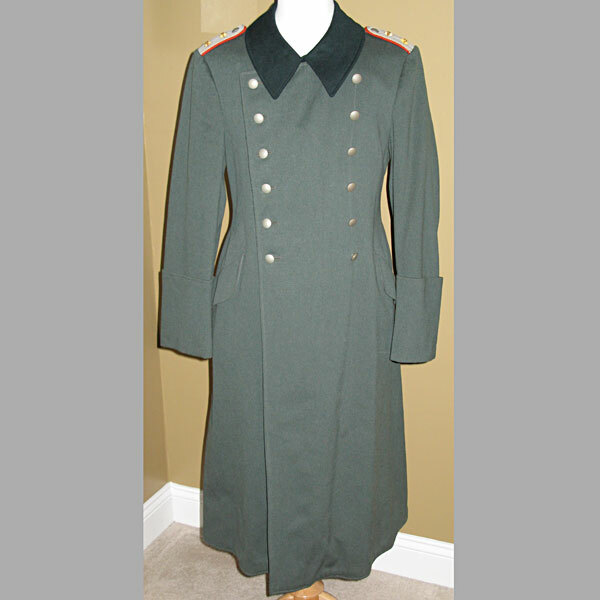 This nice Heer M40 6-button tunic has a great deal of potential for someone looking to restore one of these. 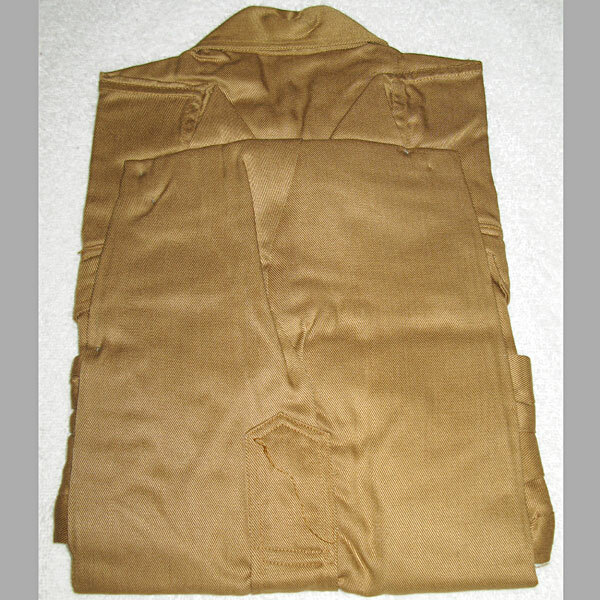 The original collar tabs and shoulder boards are long gone, but the base cloth is primed and ready for a new set. 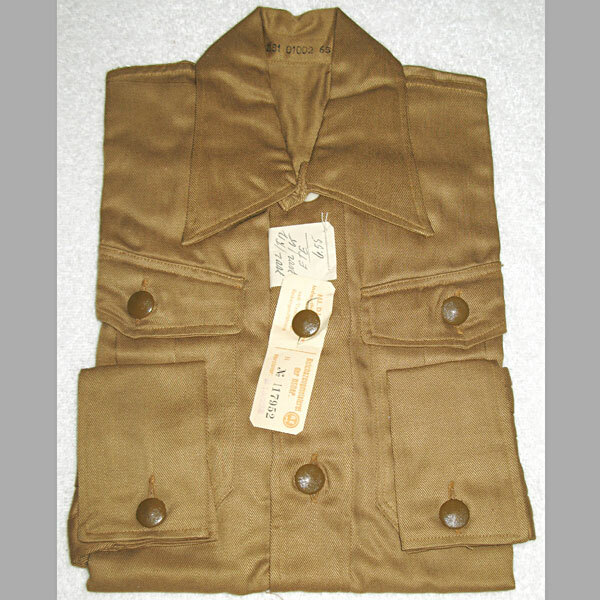 This is most likely a “walking out” tunic, but could possibly be a combat tunic. 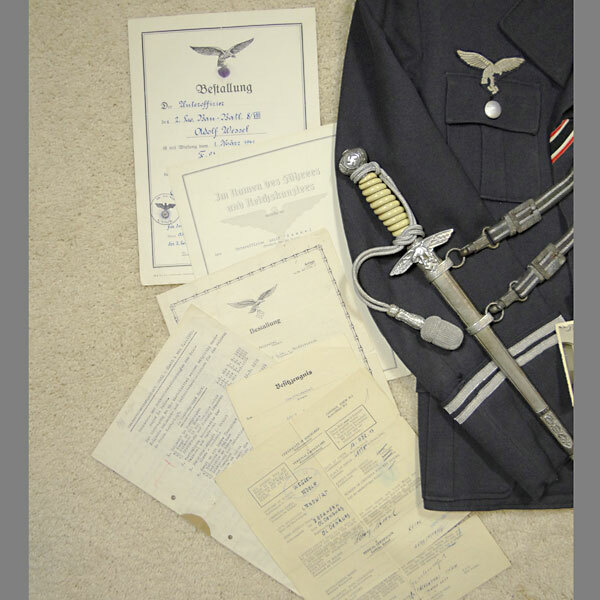 Difficult to say for sure. 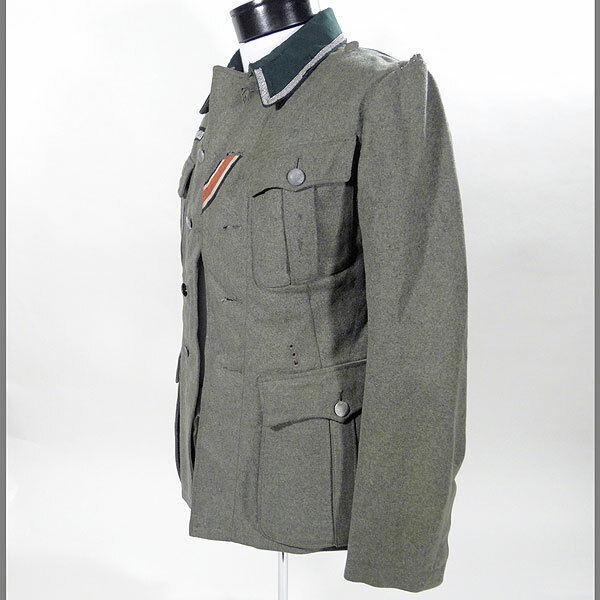 This is a very high quality, and immaculate example of a WWII German State Forestry (Heeresforstverwaltung) Officer’s tunic and visor cap. 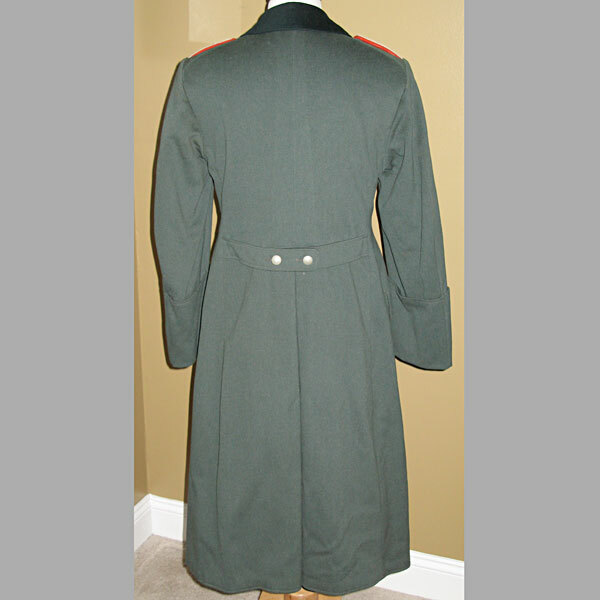 The tunic is in unissued condition inside and out. 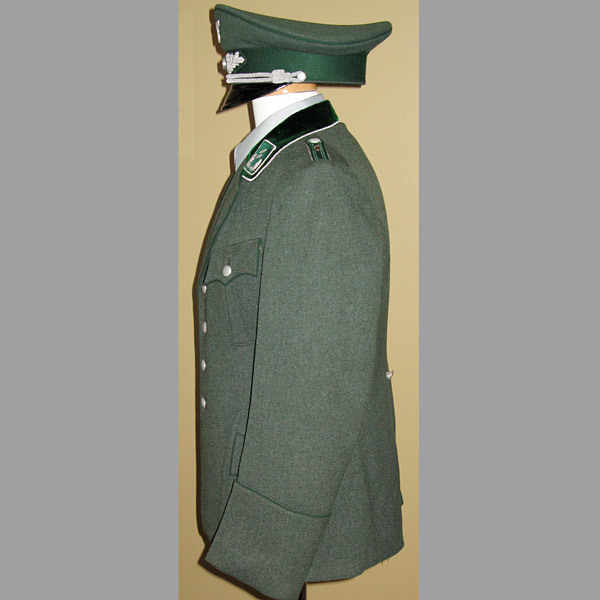 The visor cap is one of the best examples of a wartime visor I’ve seen, and is named to the officer it belonged to during the WWII period.